Posted July 19, 2017 by sdrexler-admin & filed under Historical Handwriting. Back in September 1934, a man named Richard Hauptmann was arrested and charged with first-degree murder for killing Charles Lindbergh Jr., the oldest son of famous aviator Charles Lindbergh and his wife, Anne. The following January, Hauptmann was put on trial for the murder of the young boy, and after a monthlong trial, he was found guilty and sentenced to the death penalty. Hauptmann’s trial was referred to as the “Trial of the Century” at the time, and while there were plenty of scandalous details surrounding it, document examination is what ultimately played a key role in Hauptmann receiving a guilty verdict at the end of the court proceedings. Shortly after the Lindbergh’s baby disappeared in March 1932, the Lindbergh family received a series of ransom notes demanding money in exchange for the return of the child. There were a dozen or more ransom notes in total and several other written correspondences between the suspected kidnapper and the Lindberghs. Many of these documents can be seen on investigator Jim Fisher’s website. During Hauptmann’s trial, document examiner Albert S. Osborn was able to determine that all of the ransom notes had been written by the same person. Osborn was able to obtain a few documents written by Hauptmann independently, but he also requested dictated writing samples that were carefully constructed to offer insight on certain character formations that could be used to clearly tie the ransom notes to Hauptmann. In addition, some of the misspellings and grammatical errors that were present in the letters ware repeated in Hauptmann’s own personal correspondence, while distinctive inversions of certain letters that marked his handwriting style. Hauptmann’s handwriting was also a hot topic during the investigation into the Lindbergh baby’s death. Police asked him to rewrite the ransom notes that had been sent and also had him write out other statements in an effort to prove that he had indeed written the original notes. Unfortunately, police were unable to conclude much from the handwriting analysis that was done because they incorrectly asked him to copy the notes and also spelled certain words out correctly for him. However, Osborn’s work in tying Hauptmann’s writing to the random notes through document examination was still viewed as one of the central pieces of evidence against him and is often touted as some of the most compelling evidence that resulted in his conviction. Document examination can play a major part in all kinds of different legal cases. If your case involves a contested signature or other handwritten evidence, you should call the experts at Drexler Document Laboratory. We can verify, authenticate, or investigate documents with questionably authentic writing, and our determinations are legally admissible in both civil and criminal court actions. As the Lindbergh baby trial proved, testimony offered by document examiners in court can be used to strengthen a case, and it could even be a deciding factor for your situation. 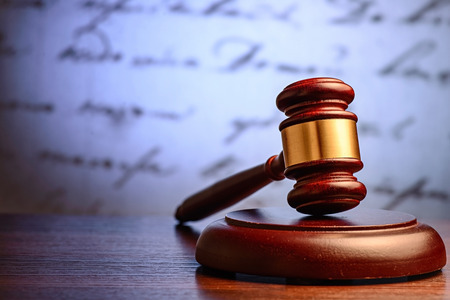 Learn more about handwriting analysis and examination services available for your case from Drexler Document Laboratory by calling us at 844-373-9522 today.